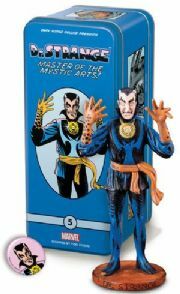 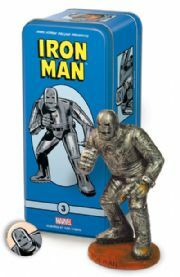 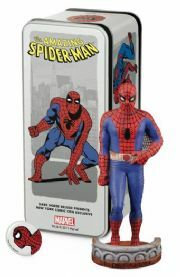 Marvel Classic Character Statues from Dark Horse Deluxe. 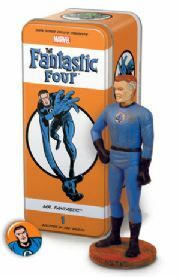 Beginning in September 2011, the program will launch with two alternating series: Classic Marvel Characters and The Fantastic Four. 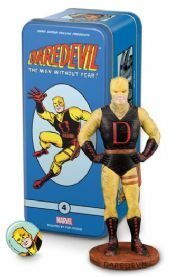 The ongoing character line-up will present these characters just as they originally appeared; Daredevil in his yellow and red costume, for instance. 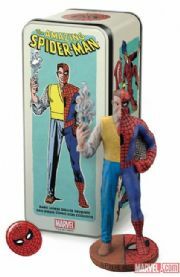 This new line will be deliberately different than what is common with a modern Marvel collectible sculpture, with features like a rougher surface texture, visible seam lines and other slightly “distressed” aspects, such as paint application. 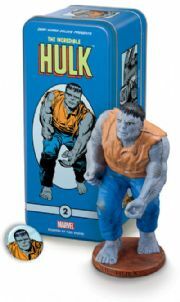 Each hand-numbered statuette comes carefully packaged in a custom-tooled full-color litho-printed tin box, in a style similar to past releases in the Dark Horse series. 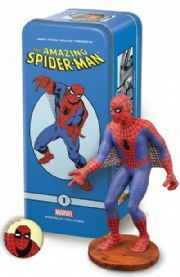 Also included is a small booklet about each character and a vintage-style pinback button of the character.